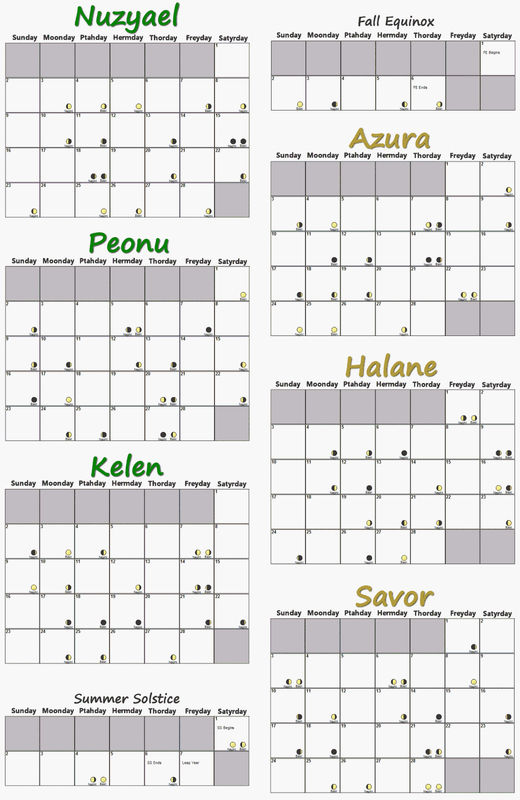 The Monthly Calendar is next on our list. First I decide on the amount of days per month, the length of special seasonal events, if a leap year would be used, and how many moons there are. If moons exist, I set their rotational period. 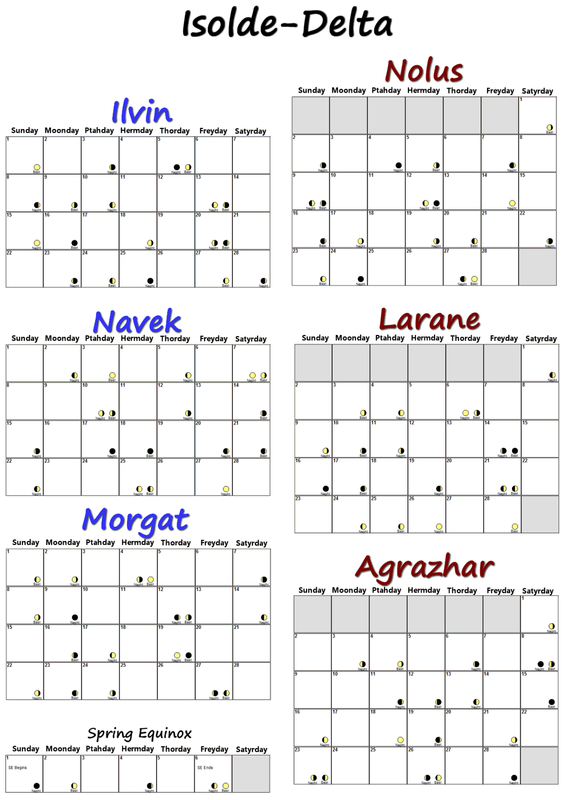 I lean towards a traditional 30 day calendar for ease of use, but then thought this would be an opportunity to use 28 days and extend each of the 4 major seasonal events to a 6 day period. As an additional bonus, I went with a Leap year, once every 4 years that would be added onto the Summer Solstice. On Savor 28 there is a double full moon, known as "The Eyes of Osiris". On Nuzyael 15 there is a double dark of the moon, known as "Set's Reprieve". Prior to a session, I'll generate 1 or 2 months worth of weather, moon phases, and any other data I may need.